This eye-catching stitch will be perfect for many kinds of your projects like for example throws, scarfs or ponchos. It is also the perfect choice of stitch for baby blankets! For more free designs every day follow us on Facebook. Link to the free pattern is below. 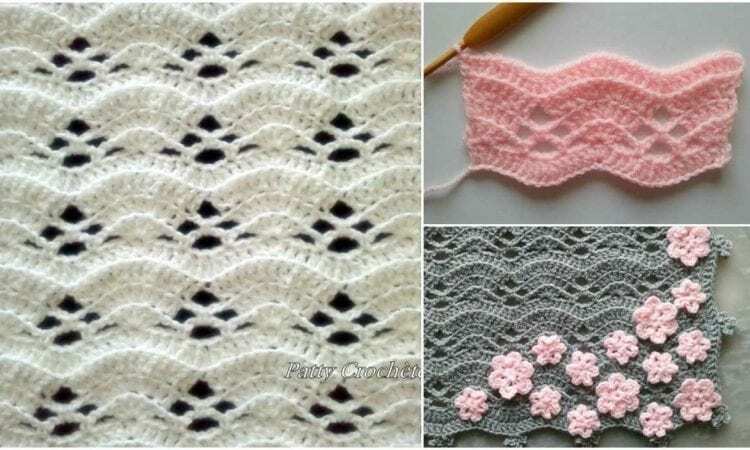 La Petite Grise- Free Crochet Pattern is here. Find the pattern for La Petite Grise Gray blanket here (look in the middle of the comments). Share your ideas and your work on our Facebook group! Wish this beautiful pattern was in US terms. It’s beautiful and I would love to make it. Beautiful. I would LOVE to make this pattern, but I’m in the US and don’t understand the stitching. Can you do a Youtube video? I really like this pattern!! !